A full set of professional quality, UK supplied brake decals for all your car's calipers. Suppliers to the trade since 2003. We include the extra decals as spares or as practice applications. Good stuff. Lexus - RX - MHU3_, GSU3_, MCU3_ [2003-2008] SUV - 2995ccm 204HP 150KW (Petrol). Lexus - RX - MHU3_, GSU3_, MCU3_ [2003-2008] SUV - 3311ccm 211HP 155KW (Petrol). Lexus - RX - MHU3_, GSU3_, MCU3_ [2003-2008] SUV - 3311ccm 232HP 171KW (Petrol). Lexus - RX - MHU3_, GSU3_, MCU3_ [2003-2008] SUV - 2995ccm 204HP 150KW (Petrol). Lexus - RX - MHU3_, GSU3_, MCU3_ [2003-2008] SUV - 3311ccm 211HP 155KW (Petrol). Lexus - RX - MHU3_, GSU3_, MCU3_ [2006-2008] SUV - 3456ccm 276HP 203KW (Petrol). 2008 LEXUS IS250 IS350 ABS SUPPORT ÉTRIER DE FREIN ARRIÈRE DROIT ARRIÈRE OEM 119 # 57 A. NOUS AVONS LE DROIT D'ANNULER LA COMMANDE POUR N'IMPORTE QUELLE RAISON. Color Black. Modified Item No. Important - Some early models, 2005 & 2006 use an alternate bottom pin with a M9x1mm thread - bottom pin in this kit has M12x1.25mm threads 2x Rear brake caliper guide pin / slider pin kits High tensile pins / bolts Suitable for models shown in vehicle compatibility Kit contains parts for two brake calipers Includes a free sachet of guide pin grease Frentech guide pin kits are manufactured to specifications consistent with original equipment. 2x Front brake caliper repair kits / seals Kit contains parts for two brake calipers Includes a Free sachet of red rubber grease and guide pin grease Suitable for models shown in vehicle compatibility Frentech caliper repair kits are manufactured to specifications consistent with original equipment. NOUS AVONS LE DROIT D'ANNULER LA COMMANDE POUR N'IMPORTE QUELLE RAISON. 2015 LEXUS IS250 RWD FREIN ABS ÉTRIER ARRIÈRE DROIT PASSAGER CÔTÉ OEM 567 #02 A. NOUS AVONS LE DROIT D'ANNULER LA COMMANDE POUR N'IMPORTE QUELLE RAISON. 2x Rear brake caliper repair kits / seals Kit contains parts for two brake calipers Includes a free sachet of assembly paste Suitable for models shown in vehicle compatibility Frentech caliper repair kits are manufactured to specifications consistent with original equipment. 2014 LEXUS IS250 ABS FREIN ÉTRIER ARRIÈRE GAUCHE F-SPORT RWD OEM 813 #87 A.
ETRIER DE FREIN ARG LEXUS IS. Pièce :ETRIER DE FREIN ARG. Modèle :IS. Celles-ci peuvent-être dénaturées par les prises de vues. informations sur la pièce. informations sur le véhicule. 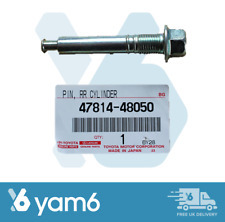 Important - Some early models, 2005 & 2006 use an alternate bottom pin with a M9x1mm thread - bottom pin in this kit has M12x1.25mm threads 1x Rear brake caliper guide pin / slider pin kit High tensile pins / bolts Suitable for models shown in vehicle compatibility Kit contains parts for one brake caliper Includes a free sachet of guide pin grease Frentech guide pin kits are manufactured to specifications consistent with original equipment. 1x Front brake caliper guide pin / slider pin kit High tensile pins / bolts Suitable for models shown in vehicle compatibility Kit contains parts for one brake caliper - contents pictured Includes a free sachet of guide pin grease Frentech guide pin kits are manufactured to specifications consistent with original equipment. 2x Rear brake caliper repair kits / seals 2x Rear brake caliper pistons - hard chromed Kit contains parts for two brake calipers Includes a Free sachet of red rubber grease Frentech rebuild kits / repair kits are manufactured to specifications consistent with original equipment. Technical InformationThis will fit front right hand, drivers, off side. However delays are occasionally inevitable due to unforeseen circumstances. Buy it Now. REAR L & R Brake Caliper Repair Kit Pistons for LEXUS IS200 1999-2005 (BRKP263). Where pistons contain internal components it is necessary to retain all the internal components from your old piston and refit into the new shell. 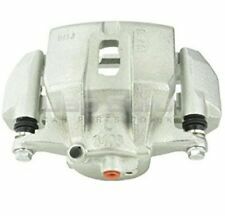 1 x FRONT LEFT BRAKE CALIPER CARRIER 1 x FRONT RIGHT BRAKE CALIPER CARRIER ---| GENUINE OEM TRW |--- FITS LEXUS IS220D 2.2D 2005- LEXUS IS250 2.5i 2005- PLEASE LEAVE VEHICLE REGISTRATION NUMBER AFTER PURCHASE TO AVOID ANY DELAYS IN THE DELIVERY PROCESS!. 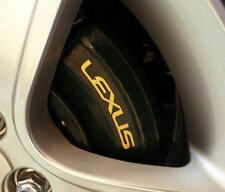 Lexus is250 220 REAR PASSENGER SIDE Caliper. (2008) Excellent condition. Dispatched with Royal Mail 2nd Class. 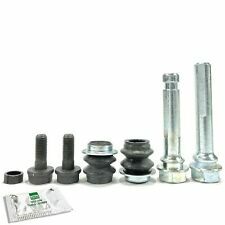 Caliper Rebuild / Repair Kits. Caliper Repair / Service Kits. Brake Caliper Slider Pins. Brake Caliper Pistons. 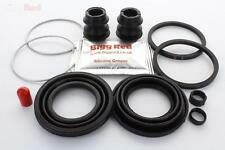 Brake Pad Fitting Kits. These are Seinsa Autofren premium quality caliper rebuild kits with parts for two brake calipers. 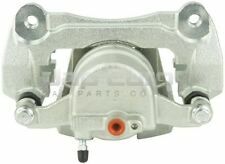 2009 LEXUS IS250 CONDUCTEUR GAUCHE CÔTÉ ABS FREIN ÉTRIER SUPPORT OEM 237 #83 A. Modified Item No. However delays are occasionally inevitable due to unforeseen circumstances. Technical InformationThis will fit front right hand, drivers, off side. Buy it Now. KIT DE PEINTURE D'ETRIER DE FREIN. - Un pot de peinture 150 gr. COULEUR: ROUGE. Le KIT Complet Comprenant. KIT PEINTURE ETRIER FOLIATEC DE FREIN BLEU RS. LEXUS LS FE. COULEUR: BLEU RS. KIT DE PEINTURE D'ETRIER DE FREIN. - Un pot de peinture 150 gr. LEXUS GS GWS_. KIT PEINTURE ETRIER DE FREIN ROUGE FOLIATEC. KIT DE PEINTURE D'ETRIER DE FREIN. - Un pot de peinture 150 gr. COULEUR: ROUGE. ÉTRIER DE FREIN LEXUS ES350 ABS 2009 ARRIÈRE COTÉ CONDUCTEUR AVANT GAUCHE 508 # 10 A.
ÉTRIER LEXUS ES350 2009 CÔTÉ PASSAGER AVANT DROIT AVANT 3.5 L V6 OEM 508 # 41 A. NOUS AVONS LE DROIT D'ANNULER LA COMMANDE POUR N'IMPORTE QUELLE RAISON. Modified Item No. KIT PEINTURE ETRIER DE FREIN ORANGE FOLIATEC. LEXUS LS FE. COULEUR: ORANGE. KIT DE PEINTURE D'ETRIER DE FREIN. - Un pot de peinture 150 gr. LEXUS GS GWS_. KIT PEINTURE ETRIER DE FREIN ORANGE FOLIATEC. COULEUR: ORANGE. KIT DE PEINTURE D'ETRIER DE FREIN. - Un pot de peinture 150 gr. ETRIER DE FREIN ARD LEXUS IS. Pièce :ETRIER DE FREIN ARD. Modèle :IS. Celles-ci peuvent-être dénaturées par les prises de vues. informations sur la pièce. informations sur le véhicule. TOYOTA SOARER UZZ31, UZZ32, UZZ30, JZZ31, JZZ30. TOYOTA CELSIOR UCF10 UCF11. LEXUS SC300 1992-2000 1UZFE, 2JZGE; JZZ31, UZZ30. LEXUS SC400 1992-2000 1UZFE, 2JZGE; JZZ31, UZZ30. LEXUS LS400 1990-1993 UCF10. LEXUS RX MCU_. KIT PEINTURE ETRIER DE FREIN NOIR FOLIATEC. KIT DE PEINTURE D'ETRIER DE FREIN. - Un pot de peinture 150 gr. Le KIT Complet Comprenant. LEXUS RX MCU_. KIT PEINTURE ETRIER FOLIATEC DE FREIN JAUNE. COULEUR: JAUNE. KIT DE PEINTURE D'ETRIER DE FREIN. - Un pot de peinture 150 gr. KIT DE PEINTURE D'ETRIER DE FREIN. - Un pot de peinture 150 gr. Le KIT Complet Comprenant COULEUR: NOIR. LEXUS LS FE. KIT DE PEINTURE D'ETRIER DE FREIN. - Un pot de peinture 150 gr. LEXUS LS UCF10. KIT PEINTURE ETRIER DE FREIN BLANC FOLIATEC. KIT DE PEINTURE D'ETRIER DE FREIN. - Un pot de peinture 150 gr. COULEUR: BLANC ( WHITE). LEXUS GS JZS160. KIT PEINTURE ETRIER DE FREIN BLANC FOLIATEC. KIT DE PEINTURE D'ETRIER DE FREIN. - Un pot de peinture 150 gr. COULEUR: BLANC ( WHITE). AVANT L & R Brake Caliper Slider Bolt Kit pour LEXUS est 220 2005-2013 (H0018AX). un boulon de curseur avant complet kit assez pour (2) les étriers pour s’adapter. Lexus EST 220D Mk II 2005 2013. SpécialisteÉtrier de frein Remanufacturer.